Despite Wimbledon 2011 being only the third tournament of the year for American Venus Williams, the six-time Wimbledon champion produced a powerful groundstroke game to beat her opponent, Akgul Amanmuradova from Uzbekistan, 6-3, 6-1. It took Venus only an hour to dispatch of the unseeded Uzbek who was no match for the American’s string of down-the-line and cross-court winners. Coming into this year’s Championships, Williams has had less than adequate preparation having only competed in the 2011 Australian Open and last week’s Eastbourne tournament. However, once Williams stepped onto Court Two Monday morning, it became very apparent that she had every intention of being successful on the grass courts that she has grown to love over the years. Clearly happy with her performance, Williams said, “All in all I was pretty pleased to play today. Especially having not played a lot, too, you know, I had a little pressure on me to come out and swing as usual." Williams is seeded 23rd in this year’s draw due to her lengthy absence from the WTA Tour. However, Williams’ 2007 Wimbledon run indicates that this is only a number and will have no bearing on how she fares in the tournament. In 2007, Williams was seeded at the same position and came out champion. 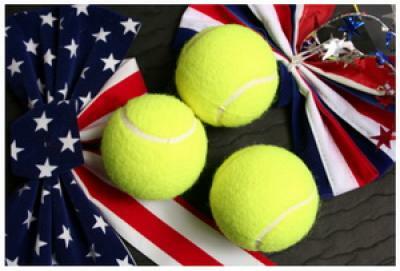 The American is definitely a strong favorite to take home the Wimbledon crown once again. Joining Williams in the second round is the star American youngster, Christina McHale who overcame her opponent, the number 28 seed, Russian Ekaterina Makarova, 6-2, 1-6, 8-6. This is the New Jersey native’s first Wimbledon appearance. What makes her victory even more remarkable is the fact that Makarova won the Eastbourne tournament last year. This should give McHale plenty of confidence going into her second round encounter where she plays the winner of Ayumi Morita and Tamira Paszek. The number two seed, Vera Zvonareva, was also victorious on day one of the tournament against American Alison Riske, 6-0, 3-6, 6-3. The 2010 finalist was forced to battle hard against the talented American who burst into the limelight at last year’s AEGON Classic where she reached the semifinals. However, Zvonareva’s formidable form proved too much for Riske who let herself down with 24 unforced errors compared to only 15 from the Russian. Zvonareva will take on fellow Russian, Elena Vesnina, in her second round.